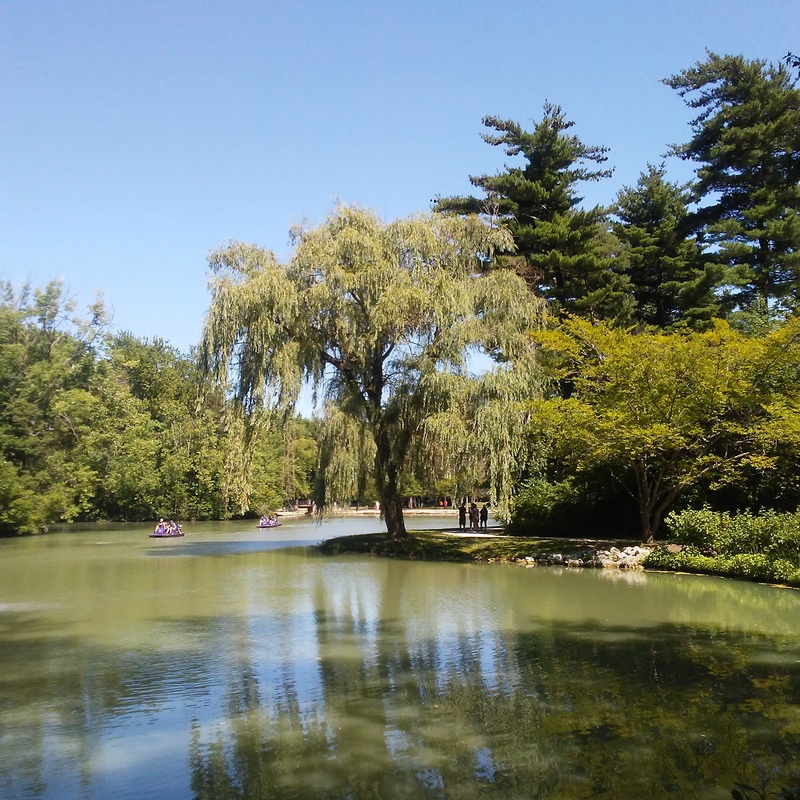 Going to the park on a Sunday afternoon in July is not something I normally do, and I couldn’t get over the number of people I encountered while there. While many people were at the park to do normal park things, there were plenty of people there catching Pokémon, either as couples, in small groups of family or friends, or solo, like me. Additionally, I encountered two large groups which were clearly organized and focused on raid battles. 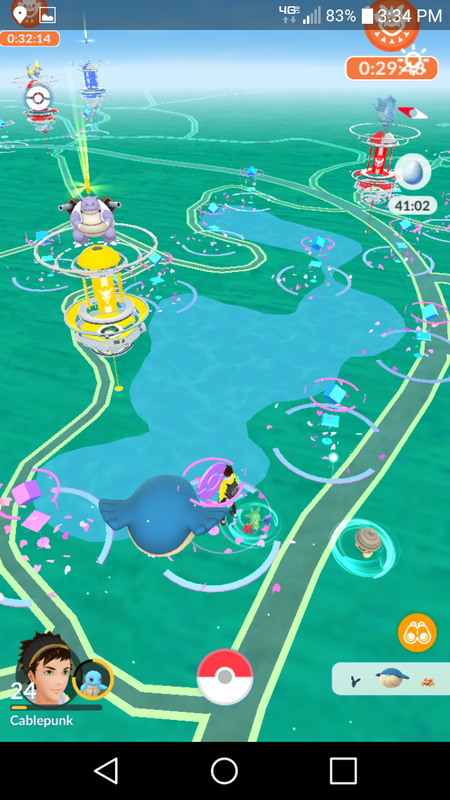 I had never experienced anything like that before, until the day before, when I crossed paths with a similarly large group at the park for the Articuno event. 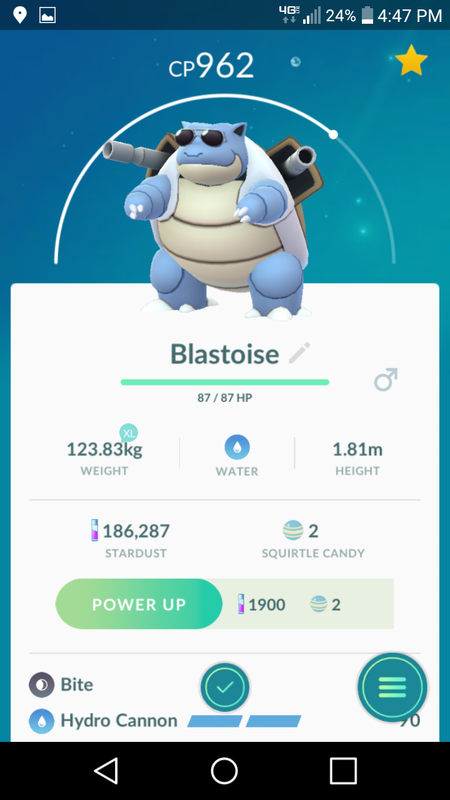 My first Blastoise. Thanks to evolving during the event, he knows Hydro Cannon. My new buddy. 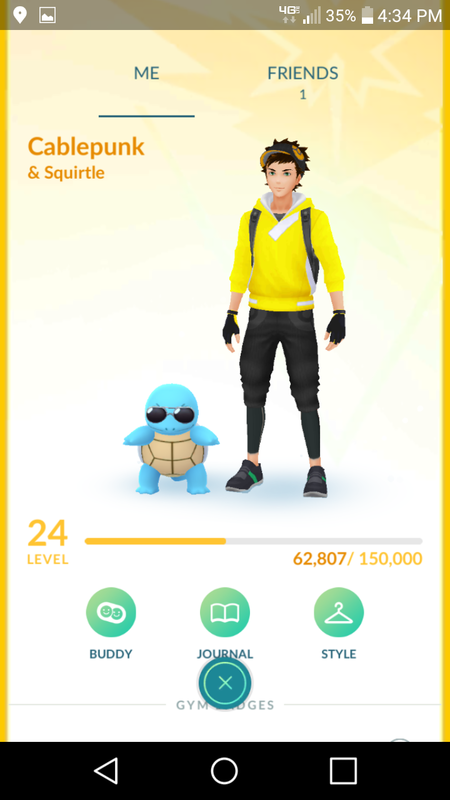 Completing field research during the event granted an encounter with a Squirtle wearing sunglasses. 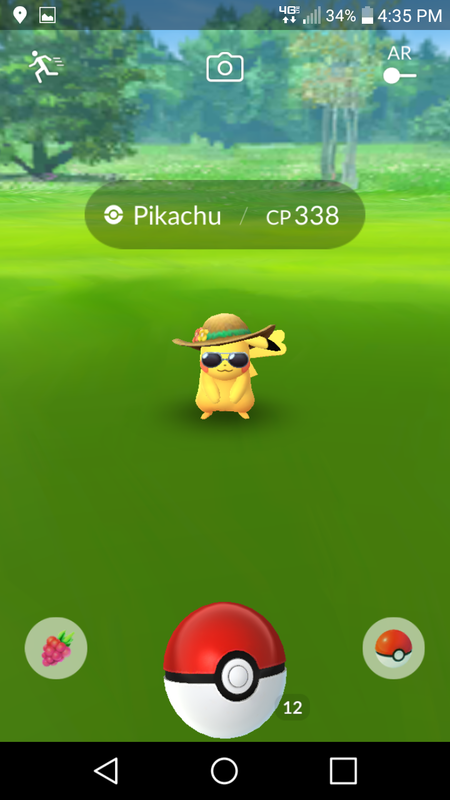 Pikachu in summer hats were also to be found. I caught this one, but two got away. I had just enough candy to evolve a second Blastoise. This one has sunglasses. 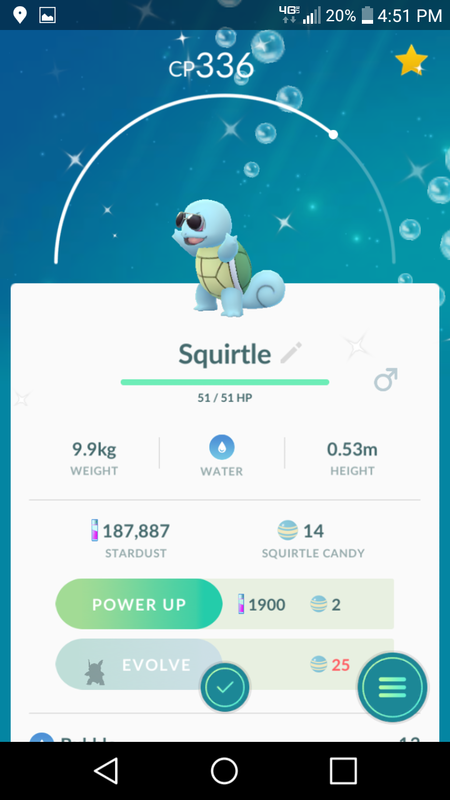 And just when I thought it wasn’t going to happen, I encountered and caught a shiny Squirtle wearing sunglasses! The July Community Day was fun and rewarding, and I look forward to each month’s event from now on. You’re guaranteed a lot in a three hour window, so it’s worth getting out for it. Now that I have two powerful Blastoise, I think I’ll start getting into battling, something I’ve done rarely in the past two years. With this event, Niantic just may have gotten me playing Pokémon GO outside of a casual capacity. Just not today. It’s, like, 90 out. Next Next post: I am the Blade of the Light!